The Sound of Music opened on Broadway in 1959, starring Mary Martin and Theodore Bikel. 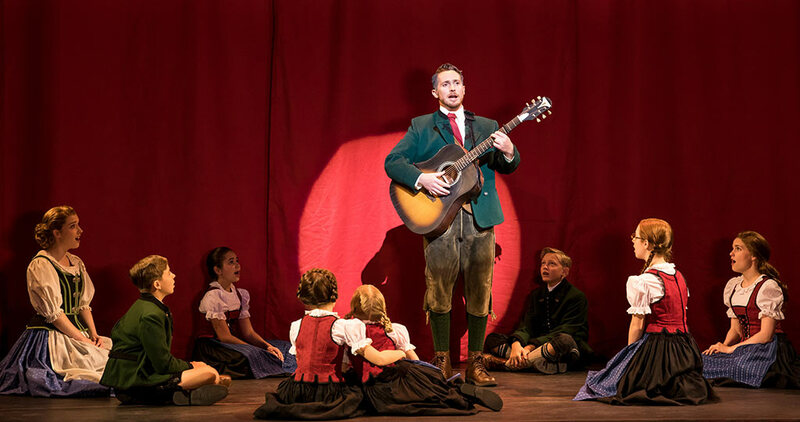 Based on the memoir of Maria von Trapp, it was the last musical written by the famous duo of Rodgers and Hammerstein. After winning five Tony Awards, it was adapted into one of the greatest movie musicals of all time – starring Julie Andrews and Christopher Plummer. For nearly sixty years, The Sound of Music has delighted audiences all over the world, with its wonderful story and timeless songs. And now it has returned to St. Louis with a brilliant production, which has made me fall in love all over again with one of my favorite musicals. The incredibly talented Jill-Christine Wiley plays Maria, a postulant who leaves Nonnberg Abbey to become the governess for a family of seven children. Wiley’s pitch-perfect portrayal of the character embodies everything audiences have come to love about Maria. She has the look of a sweet and innocent girl, trying to find her way in a confusing world. And she has the voice of an angel, the best performance I have seen since the classic actors I grew up listening to. Wiley brings Maria to life in a way that can’t help but to put a smile on your face. Mike McLean is the discipline-loving Captain von Trapp, the result of a man dealing with pain and loss in the only way he knows how. McLean’s body language and delivery sells just that, as the character struggles to remember what life was like before his wife passed away. His chemistry with Wiley is undeniable, as Maria brings life and music back into the von Trapp house. When he finally starts to sing in a pivotal moment for our characters, one can’t help but to feel emotional. 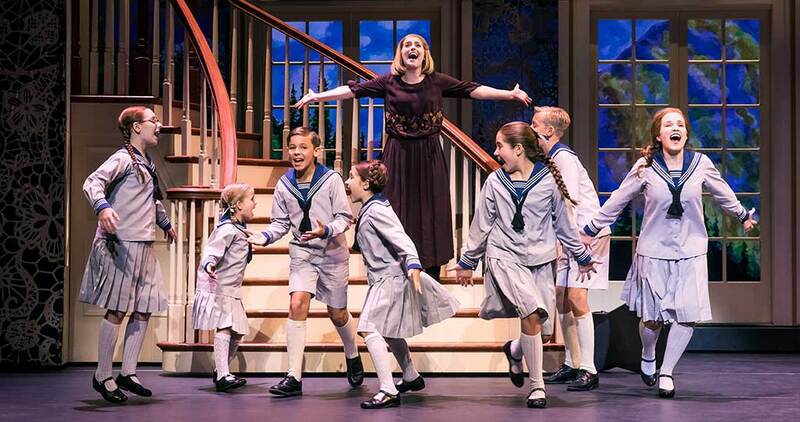 The show has a remarkable supporting cast, which of course includes the seven von Trapp children. All of them give fantastic performances, singing and acting without missing a beat. While the children range in age from five to “Sixteen Going on Seventeen,” they all seem talented far beyond their years. 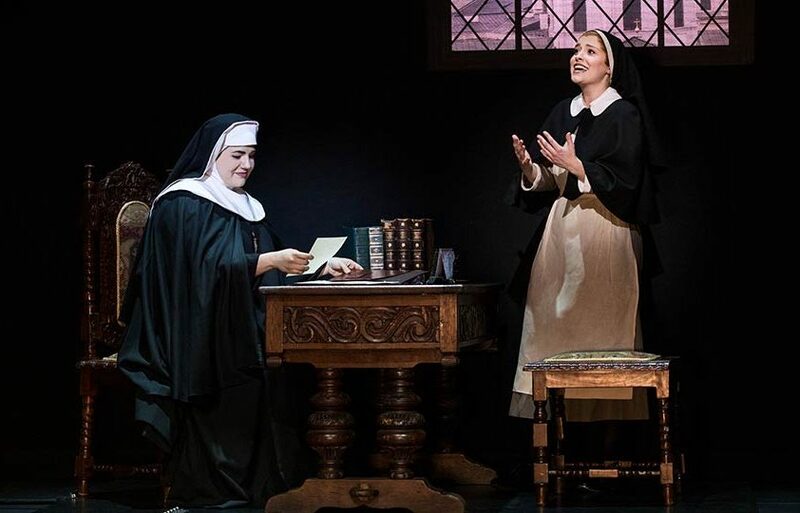 Lauren Kidwell is awe-inspiring as The Mother Abbess. Her renditions of “Climb Ev’ry Mountain,” and “Finale Ultimo” were met with roaring ovations. Her operatic voice more than does her character justice, as does her charming personification. Another favorite moment is when she sings “My Favorite Things” with Wiley in the Abbey. They are absolutely delightful together! Melissa McKamie and Jake Mills play Elsa Schraeder and Max Detweiler, the house guests of Captain von Trapp. Both actors are simply delightful, as they try and get the Captain to change his way of thinking. I always love hearing their song, “How Can Love Survive,” and their version is no exception. 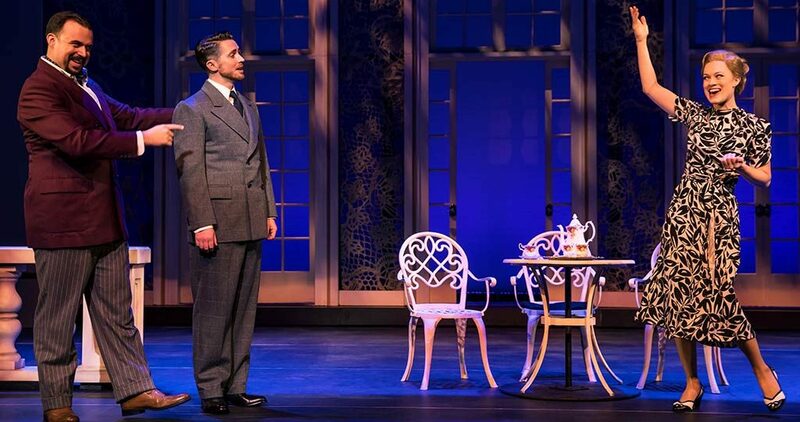 McKamie is terrific as the dignified Baroness, and Mills perfectly captures the charm and humor of Max. The sets, the music, the choreography – all wonderful. I could not have been more pleased with this newest touring production of the classic musical. Whether we are are taken through the hills of Austria, the elegant von Trapp estate, or the Abbey – it feels like home. This is the perfect opportunity for fans of the beloved show to fall in love with it once more, or to introduce a new generation to the brilliance of Rodgers and Hammerstein. 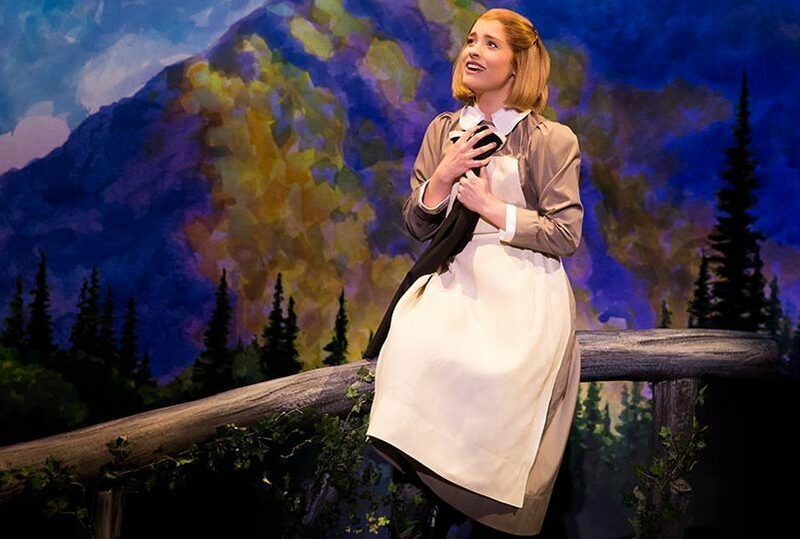 RODGERS & HAMMERSTEIN’S The Sound of Music plays the Fabulous Fox this weekend, with two performances on both Saturday and Sunday. Tickets are available at MetroTix.com. For more information, visit The Fabulous Fox.